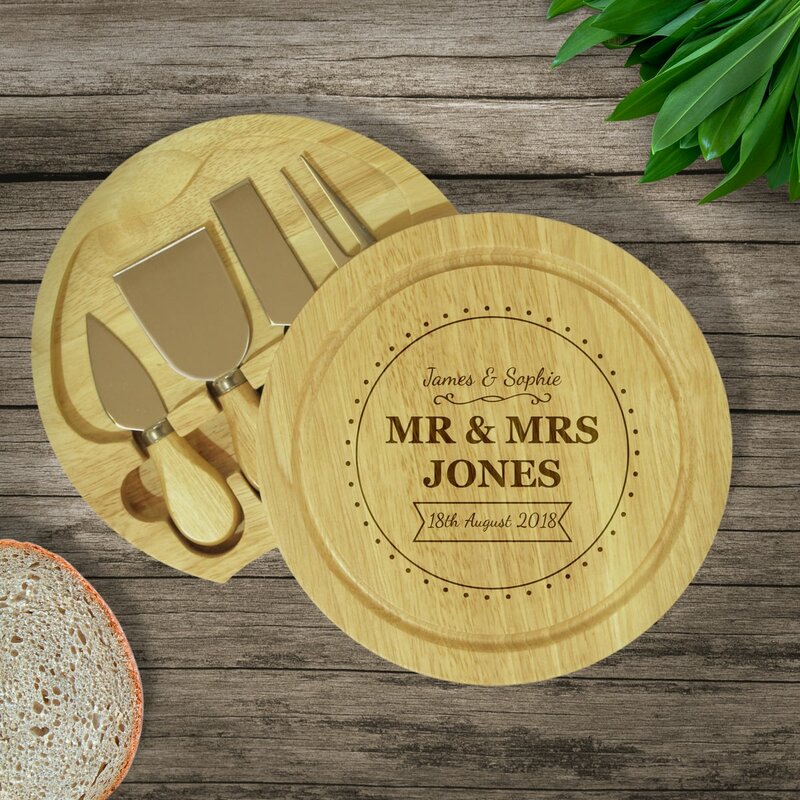 Whether its a wedding gift, or you know they just love cheese, this board is an ideal addition to their kitchen. 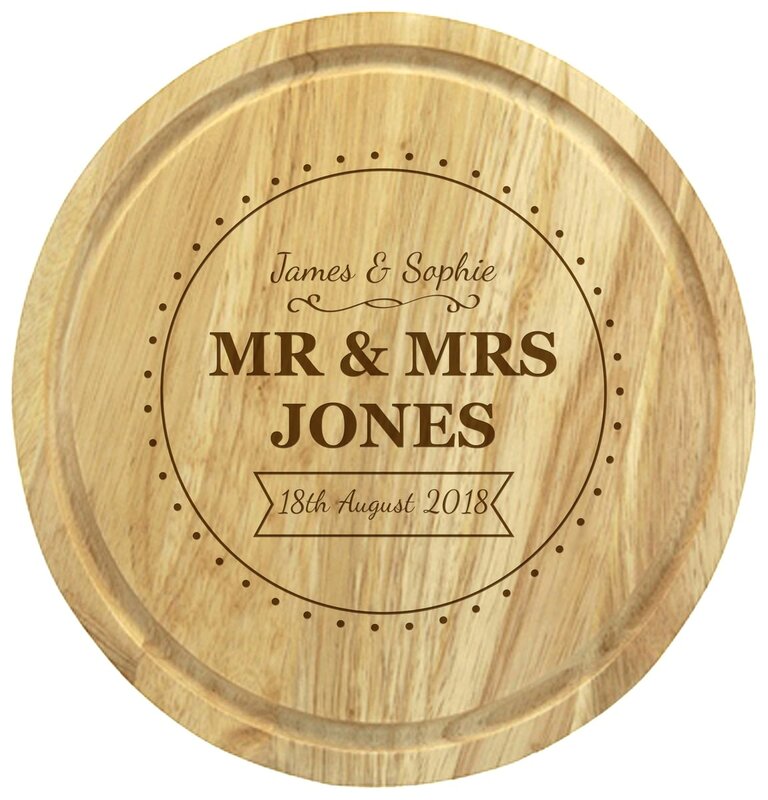 Personalise with their names of up to 15 characters each and their surname of up to 20 characters. To finish this contemporary design add their special date in the banner below of 25 characters. 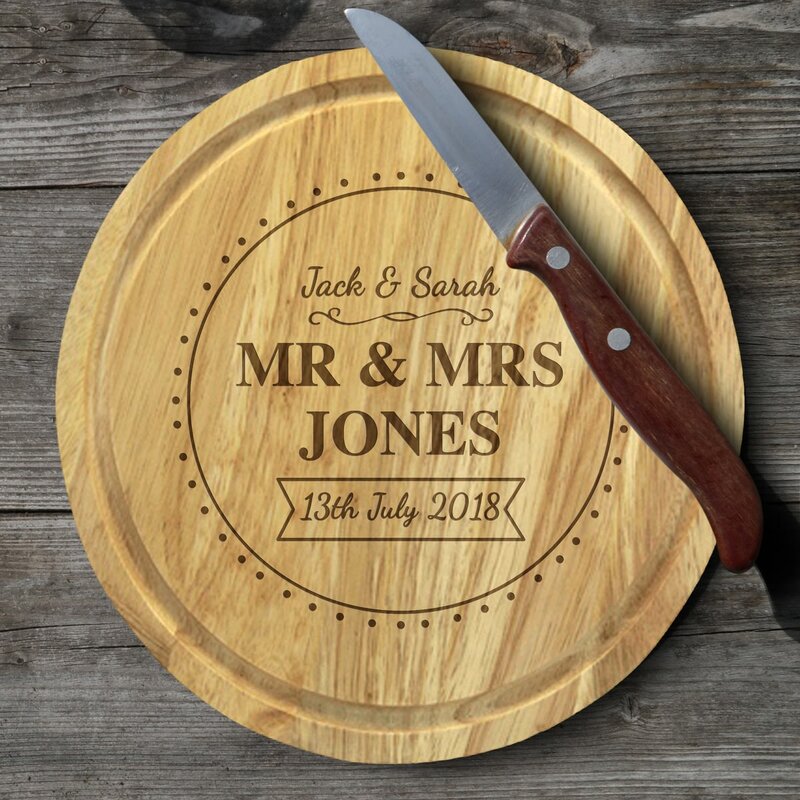 Please note the wording 'Mr & Mrs' is fixed text. 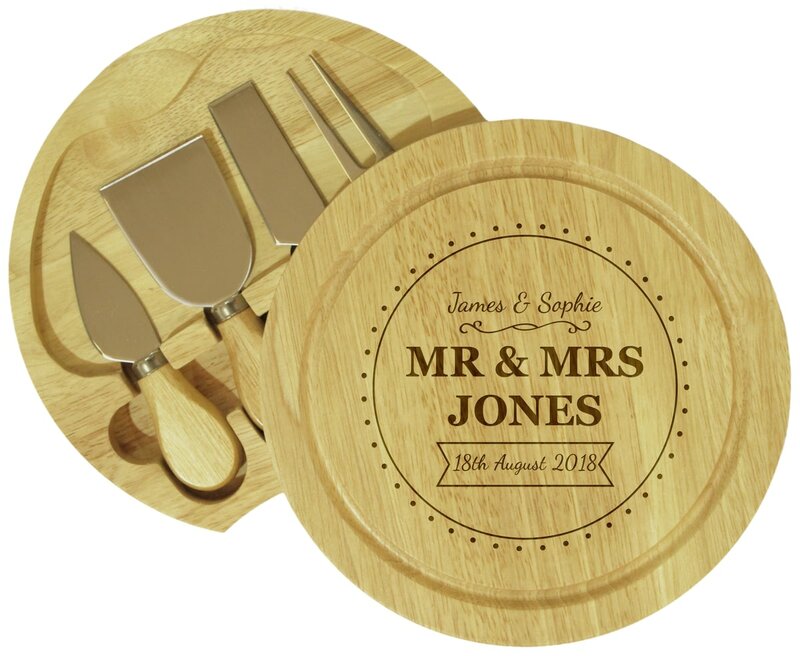 Ideal for Wedding or Wedding Anniversary Gift.